Mason Graphite issues PEA for Lac Gueret Project - ProEdgeWire. Mason Graphite Inc. (“Mason”, TSX.V: LLG) Montreal’s Mason Graphite is very encouraged by the recently issued preliminary economic assessment (PEA) for its Lac Gueret graphite project in Quebec. The financial highlights include an initial project development cost of CAD$ 89.9 million, production costs of CAD$ 390/ton, 22-year mine life and payback of original capital investment after 2.5 years. The operational highlights envisage a production rate of 50,000 tons/year of graphite, which at flake graphite prices of CAD$ 1,525/ton (these are rather conservative estimates, given that flake graphite prices have already shown the capability of exceeding USD$ 2,500/ton (April 2012) should yield CAD$76.2 million in annual revenues. Large flake graphite, which is cheaper to process than the amorphous variety, has seen sharply rising demand, accounting for a fivefold price increase from USD$ 500/ton to USD$ 2,500/ton since 2005 with the steepest price increases occurring over the past two years. The finished product is expected to have purity levels of over 96% graphitic carbon (C.gr). The PEA figures suggest the project will have low operational costs and strong economics and realistic expectations. Moreover, the PEA was prepared according to the July 2012 mineral resource assessment. Since that period, Mason has conducted further drilling and exploration, including 145 holes in the main exploration zone (GC zone) with intersections averaging 17.1% to 26.1% (C.gr), peaking at 37.3% and 33.9%. Mason has also explored an additional potential target area (GR) located about a kilometer away from the main target. The results have so far been very positive, demonstrating high graphitic carbon content. The high graphitic carbon (C.gr) content (or purity) gives it a cost-benefit advantage as higher material grades can be achieved with less effort. Evidently, the additional results from the main target and new exploration zones will increase the quantity and grade of the resource, while extending the mine life and value of the project. In sum, Mason Graphite has presented plenty of evidence that it has consistent and large intercepts of very high grade large flake graphite. The Lac Gueret region is host to some of the best flake graphite resources in the world. The next phase of the project is ready to begin. Grade is a crucial factor of success; it gives the miner the ability to attract more and higher customers while also offering lower production costs; the higher the ore’s grade the less amount of graphite needs to be processed to achieve the desired specification product. In the long term, Mason’s graphite will be able to meet the demands of the new applications in clean energy, lighter and more powerful batteries, super capacitors. In the short term, only synthetic graphite will be able to meet the purity levels required to make battery anodes and other high tech products; at least until the new flake graphite resources start to produce. However, Mason has also set shorter term revenue targets, addressing the current graphite market and investors’ interests. The steel industry remains one of the largest consumers, accounting for over a third of all flake graphite sales, needing refractory materials and carbon enhancers for alloys. 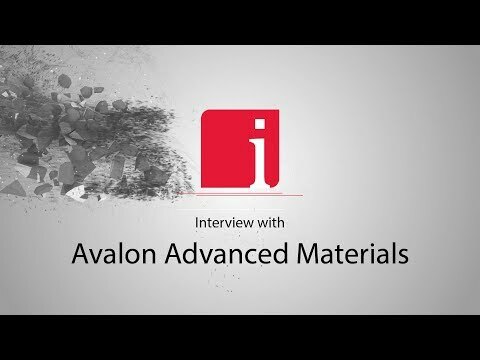 Benoit Gascon, Mason’s CEO, has decades of experience in the graphite industry and he understand what it takes to address the very specific customer needs for this commodity as well as how to confront competition from China. From investors’ point of view, Gascon offers more than the promise of great success in the long term and on the basis of emerging technologies; Gascon has envisaged Mason as serving the current market, as well as the future one. As for location, Quebec has been involved in graphite mining and production for decades with a propensity for large flake graphite. Given the presence of an active graphite mine, the province is rich in professional expertise; Quebec is also logistically ideally located to serve the North American and international markets with excellent infrastructure and government support. In addition, Mason Graphite is very close to Timcal’s Lac-des-Iles deposit – which has just a few years of ore supply remaining. Given, Gascon’s connection to Timcal and Mason’s geographic proximity, the possibility of some kind of ‘union’ between these two cannot be ruled out in the medium term.